How Financially Fit are you? Does that mean you're also Physically Fit? — Our Idahome for Better Fitness and Health! Just like you can figure out how physically fit you are by performing movements and exercises and physical tests, you can essentially figure out how financially fit you are by using your own Financial Statement, which includes both the Income Statement and Balance Sheet, based on what Robert Kiyosaki wrote in Rich Dad Poor Dad. Your Income Statement includes both all the Income streams you have, as well as all the Expenses you have on a daily/weekly/monthly/yearly basis. 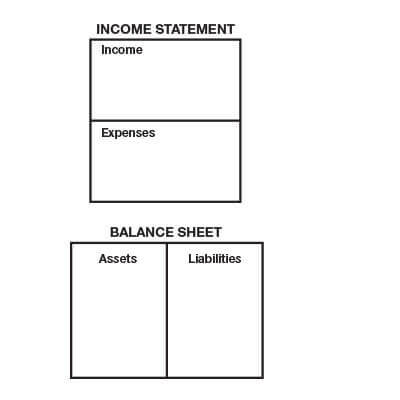 Your Balance Sheet includes both all the Assets and the Liabilities you possess. To improve your physical fitness as much as you can, you'll have to eat and move the best you can. These are your Income streams. The Assets you possess are the systems/habits/actions you have and do every day that generate these income streams. The least number of bad/unhealthy habits you have that do not positively contribute to your health and fitness are your Expenses and the Liabilities you possess. Your goal to improve your financial fitness would be to have as many, or as large as possible of income streams as possible. These income streams should be generated by having as many, and as varied asset classes as possible. On the flip side, your goal to improve your financial fitness is to reduce the number of expenses as much as possible, which are generated from the liabilities you possess. For example if you find that having that can of soda every day is not contributing to your overall fitness, that soda can is a Liability and is an Expense that you can do without. If you strength train at the gym every other day, then that action and habit you make to do it are your Income and Asset, respectively. Over time as you start to figure out your own Financial Statement, you'll start to see that your Financial Fitness and Physical Fitness go hand in hand. Most likely the more physically fit you are, the more financially fit you'll be, since you'll be in investing in assets that will generate you the most income; you'll be investing in healthful foods and habits, and not spending your money on junk food. You'll be focused more on proper recovery from training, so you won't be staying up so late and losing sleep from going out multiple nights to the bars and whatnot. The risk on the flip side while you're financially fit, is that you might let your physical fitness slip if you invest in more liabilities as compared to how much you invest in assets to your health. These liabilities most likely include the habits and actions you take for that "quick hit" of like mentioned above, junk food, or those late nights on the town. So if you really desire a healthy life and a truly improved physical fitness, then you'll have to really focus on gathering as many assets or doing as many healthful actions and habits as possible.